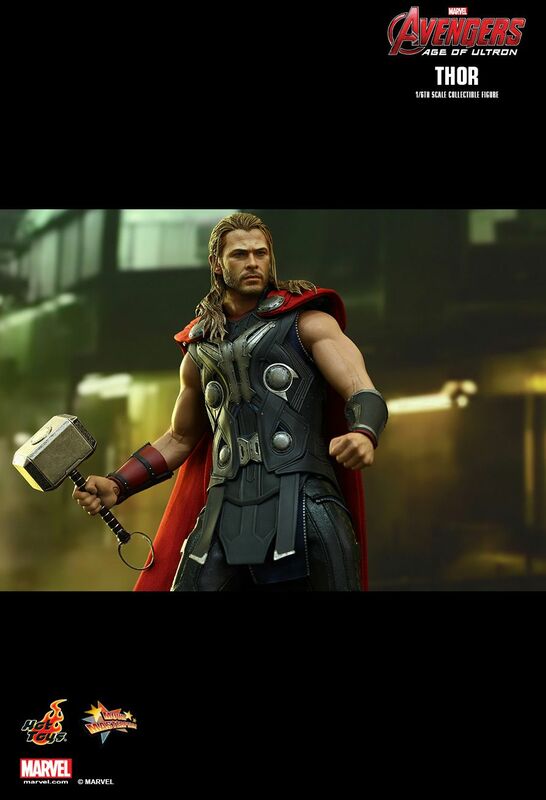 The Marvel’s Avengers: Age of Ultron Hot Toys collectibles series continues! In the epic blockbuster Avengers: Age of Ultron, Thor along with the rest of Earth’s Mightiest Heroes had battle hard against the menacing A.I. 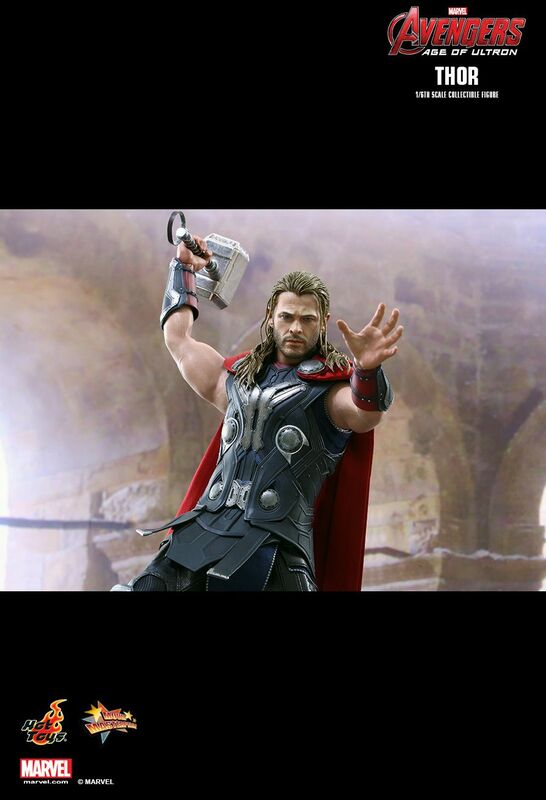 Ultron in order to save mankind from the terrifying fate of human extinction! Hot Toys is delighted to present the new 1/6th scale Thor Collectible Figure from Avengers: Age of Ultron! 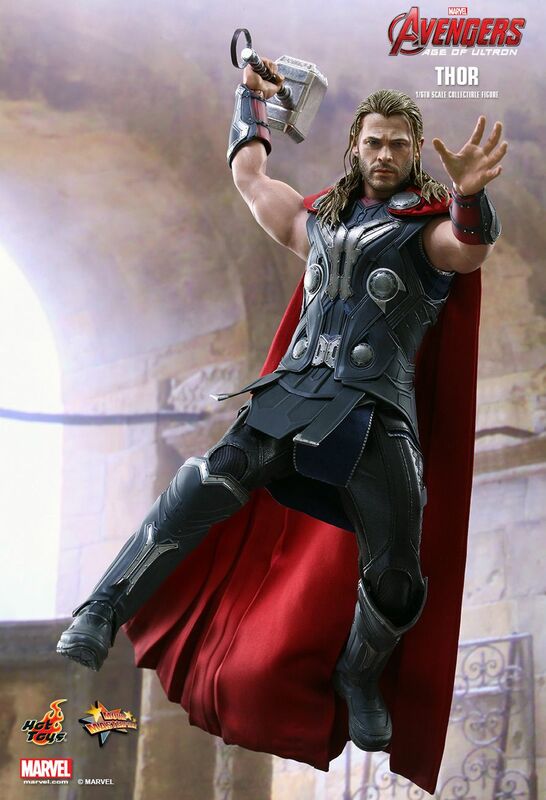 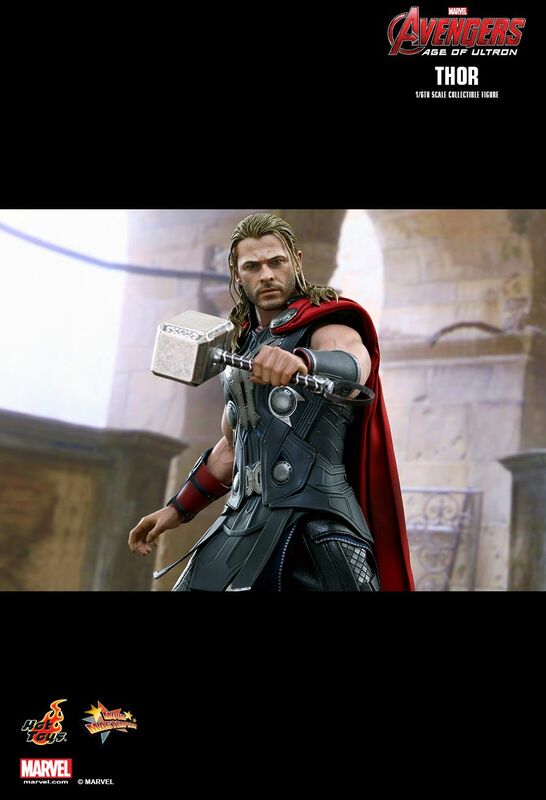 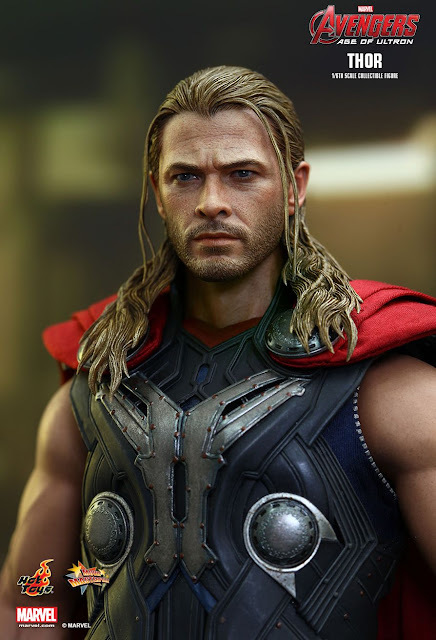 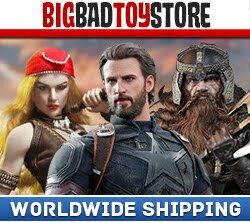 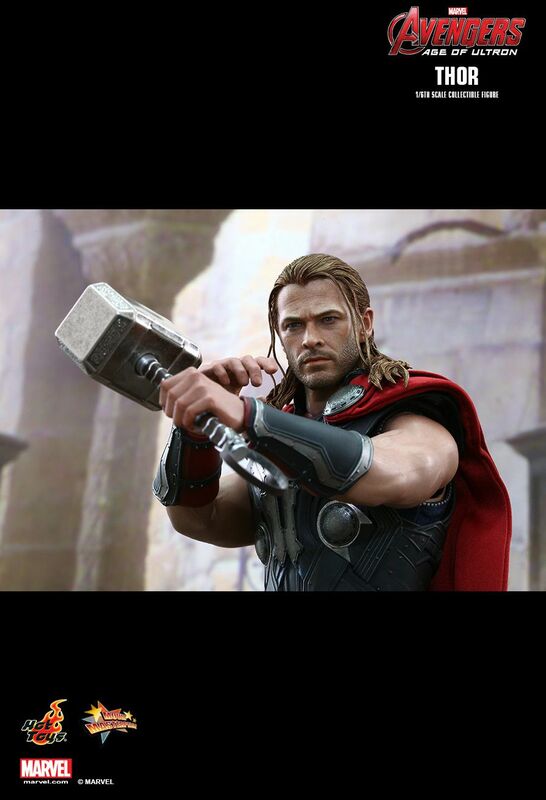 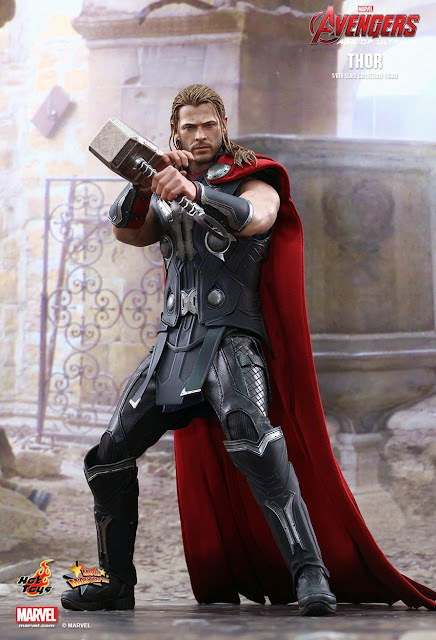 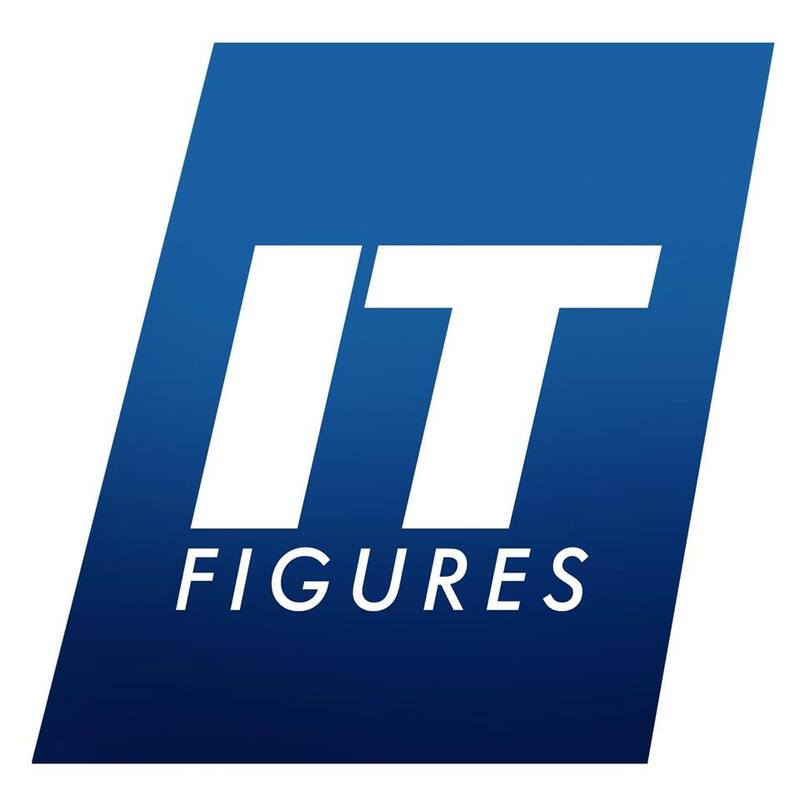 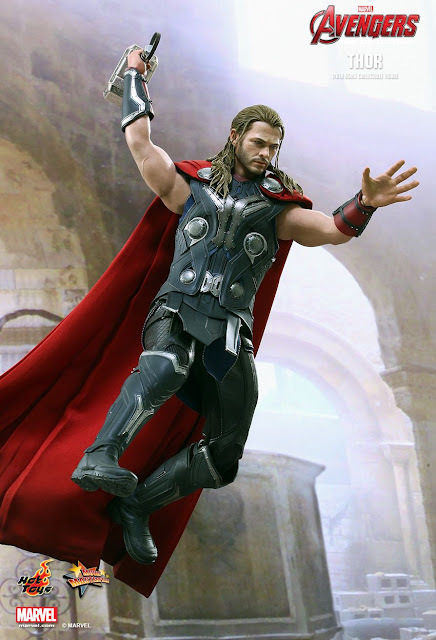 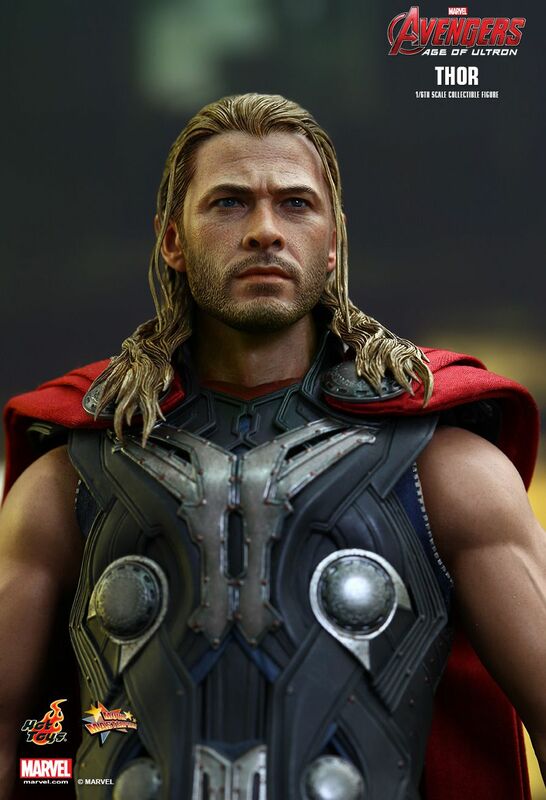 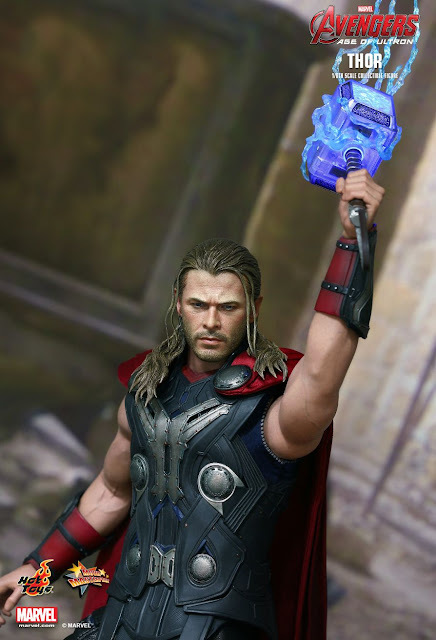 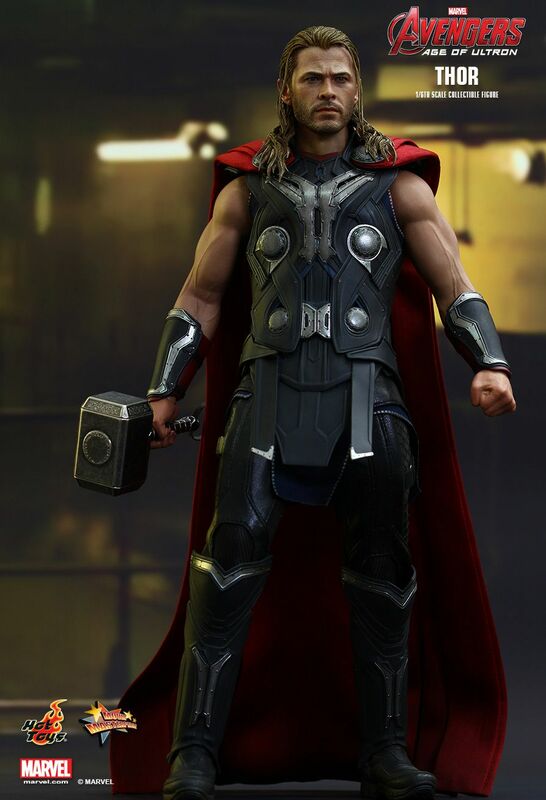 The movie-accurate collectible figure is specially crafted based on the image of Chris Hemsworth as Thor in the movie, featuring a newly developed head sculpt, highly detailed costume, a LED light-up Mjolnir and an authentic metal Mjolnir with lightning effect accessory, and a specially designed figure base. 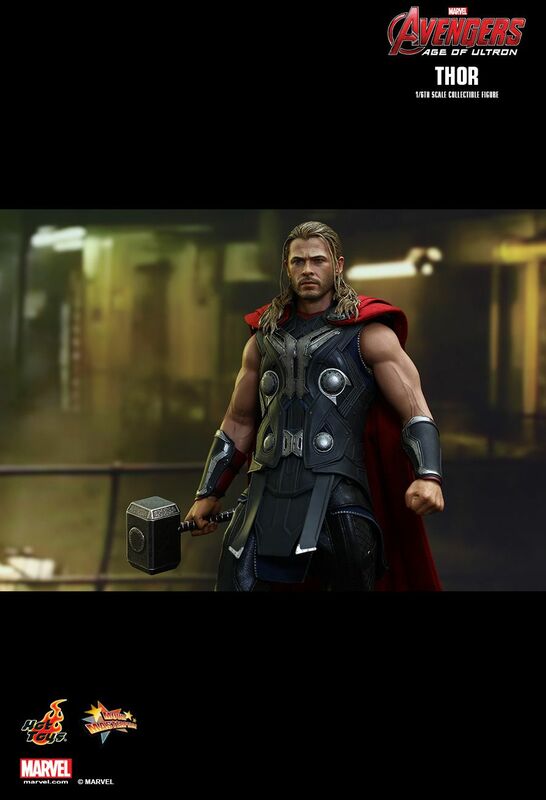 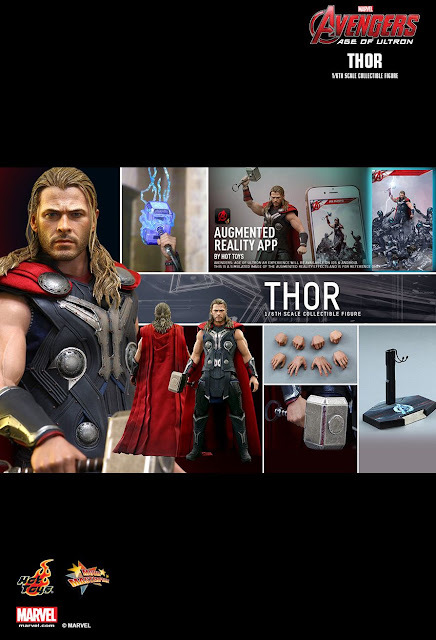 Furthermore, a specially designed 3D augmented reality (AR) app has been developed and will soon be available on iOS and Android devices to interact with the Thor collectible figure! 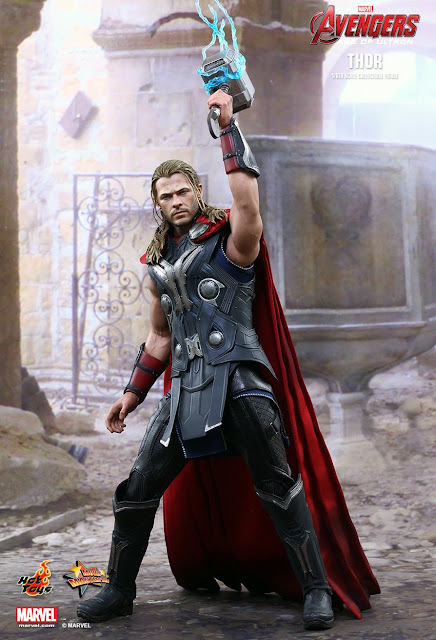 With the use of the app, fans can explore and take photo of the striking 3D scene where a number of Ultron Prime’s dangerous sentries are swarming to attack the Asgardian prince! 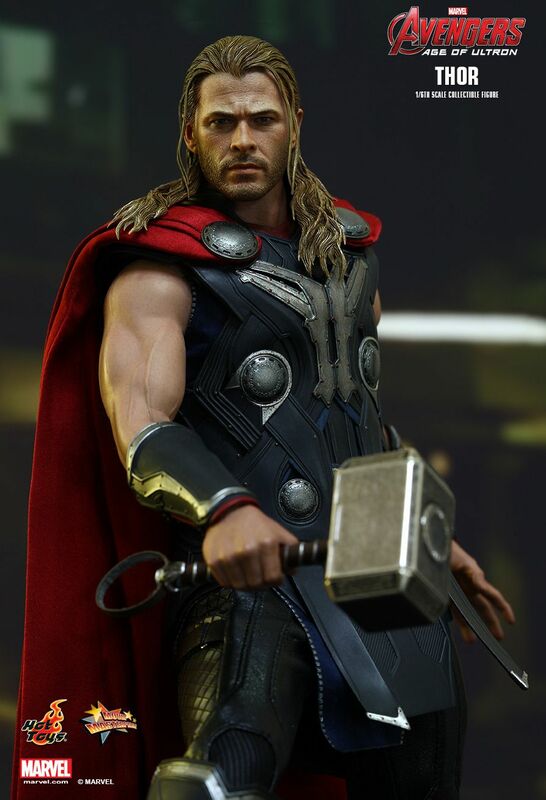 Special Featuresa newly developed head sculpt, highly detailed costume, a LED light-up Mjolnir and an authentic metal Mjolnir with lightning effect accessory, a specially designed figure base, and AR app interaction. **Avengers: Age of Ultron AR Experience by Hot Toys will be available on iOS & Android.